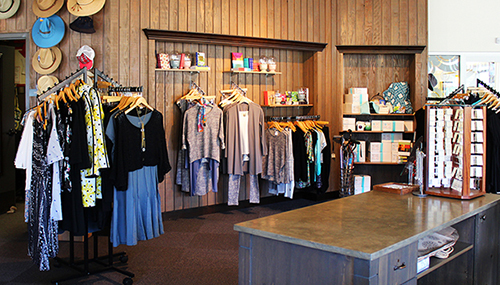 Let your spending work wonders at Shine, where an array of handcrafted, locally-sourced and unique gifts await you. Your purchase of jewelry, clothing and accessories helps support patient and family services at Seattle Cancer Care Alliance. That's right, it's retail therapy that helps others. Shine also offers essential oncology products, services and guidance. Many of the products are customized and personal, requiring your presence in the store. Shine offers limited delivery and is not an online retailer. Oncology patients have particular needs that go beyond those services provided by the medical community. The Shine staff are collaborative partners guiding you through an unfamiliar process in a friendly and non-clinical atmosphere. Our knowledgeable and approachable team knows the questions to ask and can recommend products and educate you about those things you might not even know you need. What makes our shop unique is the thoughtful gathering of necessary oncology products and supportive services that you can't typically find in one spot. Seattle Cancer Care Alliance (SCCA) is an extraordinary group whose sole mission is the pursuit of better, longer, richer lives for our patients. Shine is an expression of this mission in action – a unique destination where patient care and retail therapy overlap with 100 percent of our profits benefiting SCCA patient and family programs. Follow us on Facebook to see weekly specials and new products. Location: 207 Pontius Ave. N.